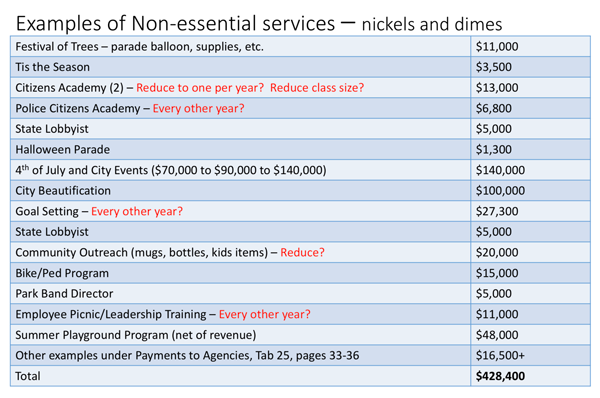 The above chart outlines why city officials project a $912,000 budget shortfall in the coming fiscal year. 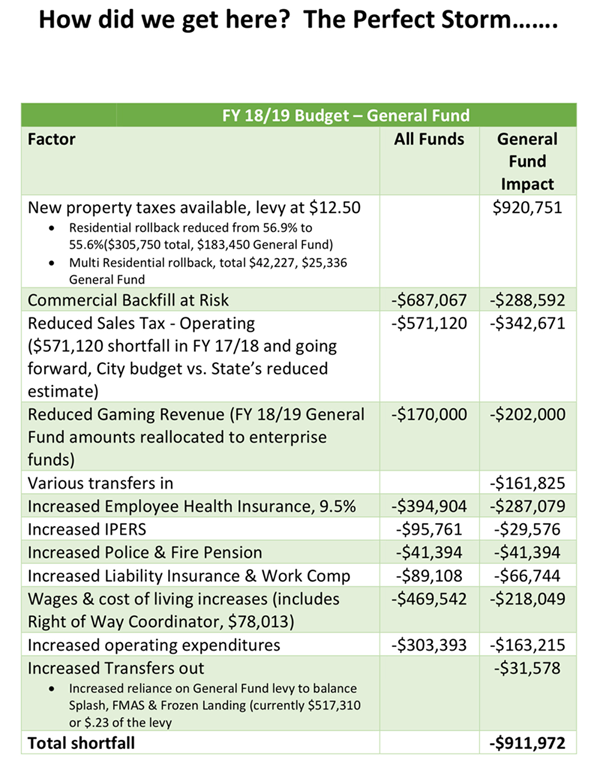 The council is expected to finalize the new budget at its Tuesday (2/20) meeting and set a public meeting on the plan for Wednesday (2/21) at the Bettendorf Public Library Information Center. 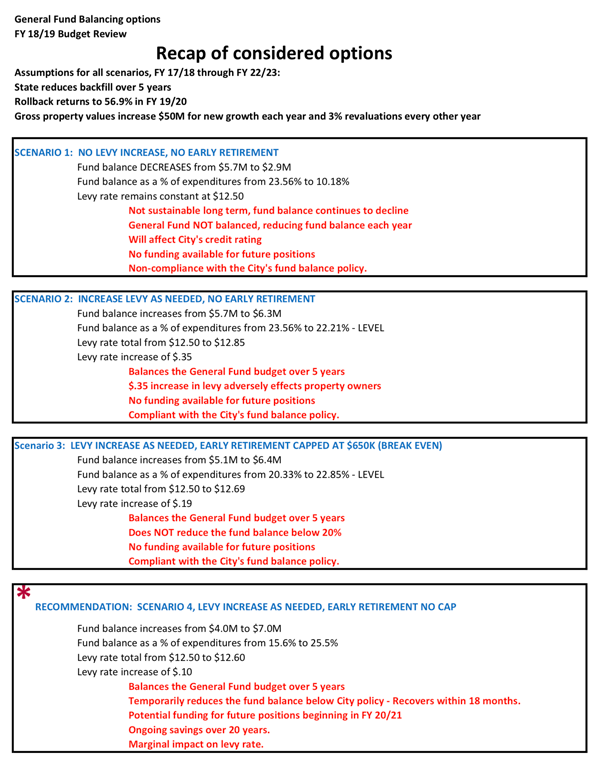 A public hearing and final adoption of the 2018-19 budget is scheduled for the council's regular meeting Tuesday, March 6.